What to do when you are craving chocolate at 11pm at night but have no chocolate in the house? 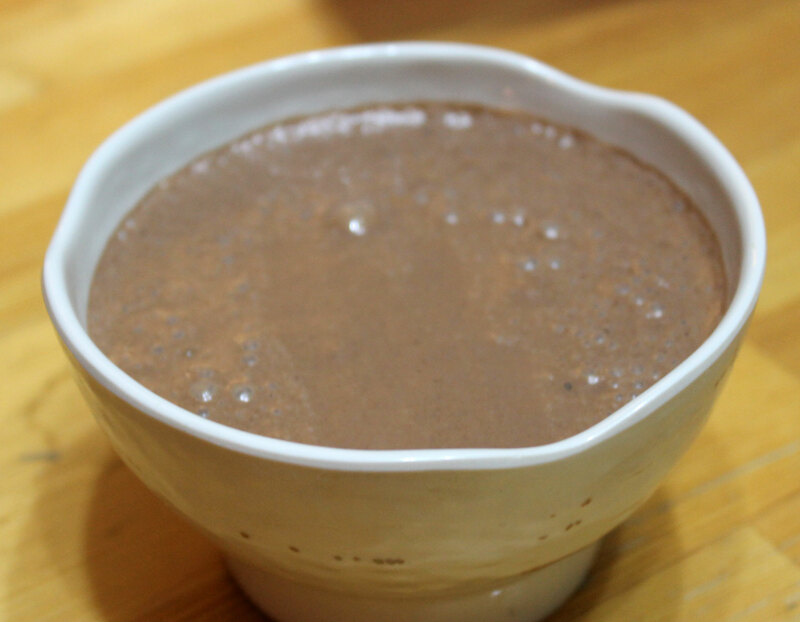 You make yourself a chocolate pudding! 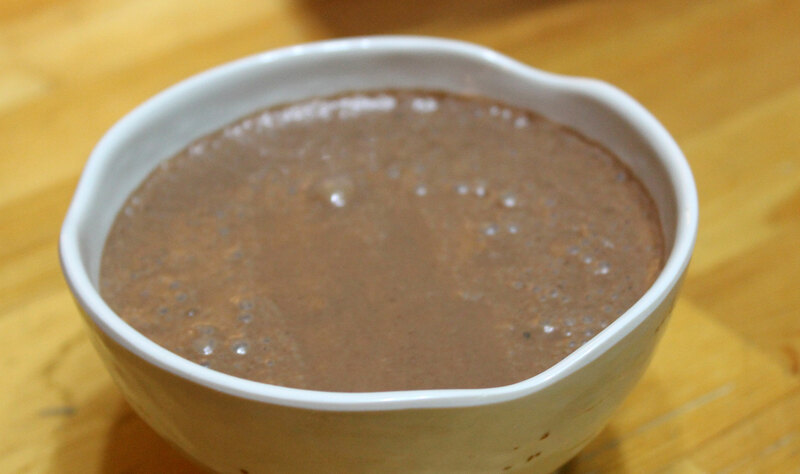 Simple, easy, tasty and good for you, this pudding is satisfying and full of healthy fats. And it is chocolate! What is there not to love about it? Seeds, including chia seeds, and chocolate are both AIP stage 2 reintroductions. When reintroducing foods on the AIP, I recommend this guide. This recipe is so simple that it is almost embarrassing to call it a recipe. All you do is throw everything in your food-processor or blender and process it until it is smooth and creamy. Pour into a bowl and allow it to thicken – this will take about 30 minutes. If wanting to send it as a lunch box snack, you can pour it into small pots or use reusable silicone icepop containers like I did…. These containers are slightly too long to fit into our Planet Boxes, hence the end being folded over and secured with a rubber band… but hey, it works! by the next day’s lunchtime, the pudding had set to a very satisfying mousse-like consistency and was easy to squeeze out of the container. This entry was posted in Recipes, Stage 2 Reintroduction and tagged chocolate, gluten-free, grain-free, lunch box, paleo, planet box, primal, pudding, snack, sugar-free. Bookmark the permalink.